MGM National Harbor turns 1. Has it been a jackpot for Prince George’s Co.? MGM National Harbor casino celebrates one year since it opened its doors in Prince George's County. Here's a look at how much money it has raked in, how it compares to other casinos in the nation and state, and how the casino has helped the county it calls home. This story is part of a two-part series on MGM National Harbor as it celebrates its first year since opening. Read the second part here. 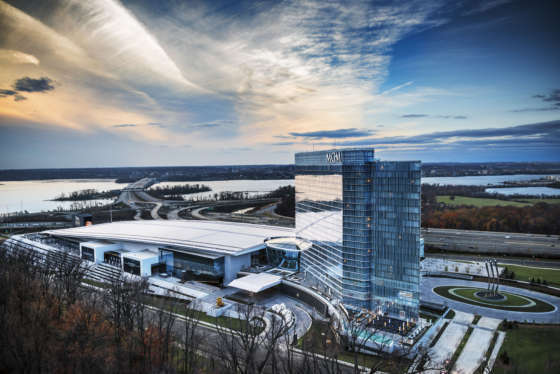 WASHINGTON — The $1.4 billion MGM National Harbor casino opened its doors to much fanfare on Dec. 8, 2016, and has lived up to expectations, for both its owner, Las Vegas-based MGM Resorts International, and for Prince George’s County. MGM National Harbor employs more than 3,700 people, 45 percent of which are Prince George’s County residents. Also, it is now the county’s leading tax provider. The resort also said its hotel has reached capacity 242 nights since opening and has, to date, had 6 million visitors. MGM is not attracting just gamblers. It, like its competition in Maryland, has positioned itself as a broader entertainment destination. “We have a great theater with world-class acts, an amazing conservatory that gets changed out five times per year, 15 retail stores, 12 food and beverage outlets, a world-class hotel, spa and salon, so much to offer to anyone that’s coming and looking to be entertained,” Patrick Fisher, executive director of hotel operations at MGM National Harbor, told WTOP. MGM reported $2.2 billion in third-quarter revenue from its 14 domestic casinos. MGM National Harbor accounted for $179.6 million of that, its fifth largest casino by revenue, generating more than twice the quarterly revenue of MGM’s Circus Circus Las Vegas, and more than several other MGM namesake properties including Luxor, New York-New York, The Mirage and Excalibur. By comparison, MGM’s largest casinos by revenue are the Bellagio and MGM Grand Las Vegas, which reported $375.5 million and $305.2 million in third quarter revenue, respectively. Excluding pre-opening and start-up costs, MGM National Harbor is also MGM’s fifth-most profitable casino. MGM Resorts International technically no longer owns MGM National Harbor. In September, it sold the property for $1.9 billion to MGM Growth Properties, a separate, publicly-traded company created to hold MGM’s real estate properties. MGM Resorts now leases the property from MGM Growth Properties, though MGM Resorts holds a majority stake in MGM Growth Properties. One thing big, new developments often bring to the D.C. region is more traffic congestion. That has not been the case with MGM. “This was one of the first things that we addressed well prior to opening, working closely with Prince George’s County Police Department, the County Executive’s office and (developer) The Peterson Group,” Fisher said. WTOP traffic reporter Bob Marbourg watches traffic flow daily, and largely agrees. “As more events and venues draw more visitors to National Harbor, the volume of traffic has certainly increased, however after the opening of MGM when visitors learned the traffic patterns, entrances and exits, traffic has flowed rather smoothly,” Marbourg said. Traffic continues to be one of the county’s top priorities. Prince George’s County has reaped more than $32 million in revenue to the county. Half of that revenue has gone directly to the county, along with money that goes to Maryland’s Education Trust Fund, which comes back to the county through formula grants for Prince George’s County Public Schools. Roughly 40 percent of the gaming revenue from the state’s casinos, MGM included, goes to several funding buckets, including the Maryland Education Trust Fund, the state’s horse racing industry and the Maryland General Fund, totals of which are published monthly by the state. MGM’s success is coming, at least to some degree, and the expense of Maryland’s other casinos, particularly Live! Casino at Arundel Mills, the state’s top performer before MGM came online. 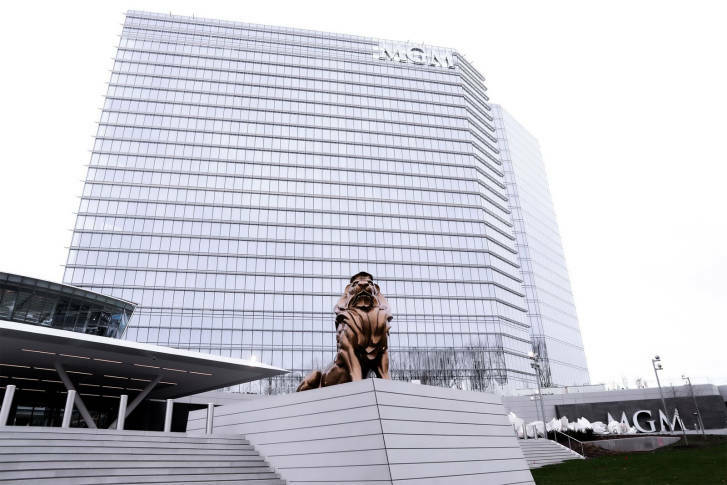 In November, MGM National Harbor accounted for 39 percent of all revenue generated by the state’s six casinos, or $50.6 million of November’s $130.5 million in gaming revenue. Live! Casino generated $43.4 million of that November total, down 13.5 percent from November 2016, a month before MGM opened. But Live! is bulking up. Owner, Baltimore-based The Cordish Companies, is in the middle of a $200 million expansion that includes a 17-story hotel, a 1,500-seat concert venue, more restaurants and more parking. The hotel (Anne Arundel County’s tallest building) is scheduled to open in the first quarter of 2018. Live!’s expansion is not in response to the new competition, it said. “When we first developed Live! Casino and did the master planning for it, we had the hotel and additional amenities always as part of the master plan,” Rob Norton, president of Cordish Gaming, told WTOP. “The change in the rules to 24-hour gaming and the addition of table games was the catalyst for us to move forward with those master plan developments,” he added. Norton does expect the expansion to win back business that may have been lost to MGM. “The quality of the assets that we are building — the hotel, the spa, the events center, the additional restaurants — as well as many of the other things that we have in the pipeline, I think those amenities are of the caliber and quality level that will drive people back here that have visited other locations, and quite honestly, I think it’ll drive new people that haven’t necessarily visited any of the locations,” he said. But he does acknowledge MGM is on Live!’s radar. Maryland’s third-largest casino, Baltimore’s Horseshoe Casino, which opened in 2014, is also freshening up. In October, it announced Food Network’s Giada De Laurentiis would open a restaurant at the casino, joining other celebrity chefs Guy Fieri and Gordon Ramsay with restaurants at Horseshoe Casino. Maryland’s three other smaller casinos — Casino at Ocean Downs, Hollywood Casino Perryville and Rocky Gap Casino — have been holding their ground, reporting monthly gaming revenue in-line with, or slightly above year-ago monthly comps. As MGM National Harbor marks its one-year anniversary, does Live!, which turned five this summer, have any compliments for its new competition?